We are dedicatedly involved in offering a wide array of Stainless Steel Reactor Vessels Manufactured using high grade stainless steel and modern machinery, offered reactor vessels are quality inspected by our adroit professionals, before their final dispatch. These reactor vessels are used as a container and available in a range of specifications to choose from. 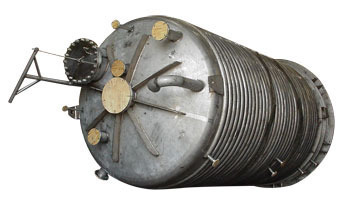 Clients can buy these reactor vessels at nominal prices. Established in the year 2008 at Gandhinagar (Gujarat, India), we “Flowchem Process Equipments” are a leading manufacturer and supplier of a superior quality range of Pressure Vessels, Reactor Vessels, Air Receivers, Holding Tanks, Heat Exchangers, Distillation Columns, Agitator And Stirrers and Chemical Storage Tanks. We manufacture these products with high precision using superior quality material and highly developed technology. These products are highly appreciated for features like high strength, robust construction, chemical resistance, dimensional accuracy, easy installation, corrosion resistance, etc. Further, these products are available in diverse specifications to fulfill the varied requirements of our clients. We provide these products in different specifications at affordable price to the clients. Also, we are engaged in offering Coating Services for these products.